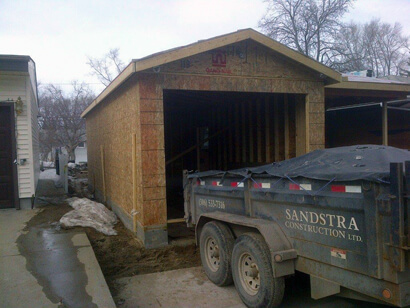 Sandstra Construction Ltd. specializes in residential and commercial construction services in the Regina area. Our expertise includes exterior and interior renovations, consulting and project management, weather windows and doors, and a wide variety of other services. We are fully insured, bonded, and licensed professionals with a commitment to customer satisfaction. There’s a reason Regina residents have been coming to us for their residential and commercial construction needs for 17 years. Let’s get your next project going. Contact us today for a consultation and estimate.